I sometimes receive comments from people who want to learn more about scents, but are afraid that this hobby is too expensive for them. How could you try all of the fragrances you read about without ending up broke? As with most interests, a perfume hobby can be as expensive or as budget conscious as you want. When I was a student living on a meager stipend, spending even $20 on something non-essential required major planning. Today, given my family responsibilities, I need to think twice before every perfume purchase, so I’m still very budget conscious. But the truth is that the joy of discovering perfume is not in amassing dozens of bottles on your dressing table; it’s in smelling and experiencing the pleasure of scents. For this you need not spend a cent. If you are trying to manage your perfume hobby, let me share a few tips that have helped me learn about scents, understand my perfume tastes and keep within budget. Here is the reason I think that a perfume hobby is probably the most affordable activity–to enjoy scents, you don’t need to buy anything. If you want to sample Chanel No 5, you simply walk into the store and spray it on. Some stores will even give you free samples. Sephora and Nordstrom are particularly renowned for their generous sample programs. When you smell something for the first time, don’t think about the scent in terms of “like” or “don’t like,” but instead focus on what it evokes for you. Sometimes smelling something that’s not exactly “you” will tell you more about your tastes than staying within your comfort zone. Plus, spraying a perfume on a blotter is a low commitment–you can always throw the blotter away if you don’t like the scent. This is perhaps the most important thing I’ve learned–when starting your perfume wardrobe you shouldn’t rush into buying. Give yourself a chance to learn about your tastes, because a spontaneous purchase today might turn into something you don’t care about tomorrow. Our tastes change dramatically the more we smell. I know from personal experience that hearing someone wax poetic about the beauty of a particular perfume makes it hard to resist placing an order. Instead, smell the perfume at one of your local stores. If you see a reviewer talking about an expensive niche perfume, don’t hesitate to ask them to recommend something similar that’s available at the local mall. Nothing is completely new in perfumery. Yes, I might rave about Ann Gérard Cuir de Nacre, but you can try Bottega Veneta Eau de Parfum and Hermès Kelly Calèche (available at most department stores) to experience a similar iris-leather interplay in action. I don’t think that anybody needs to have perfume classics in their wardrobe or that you should even like them. 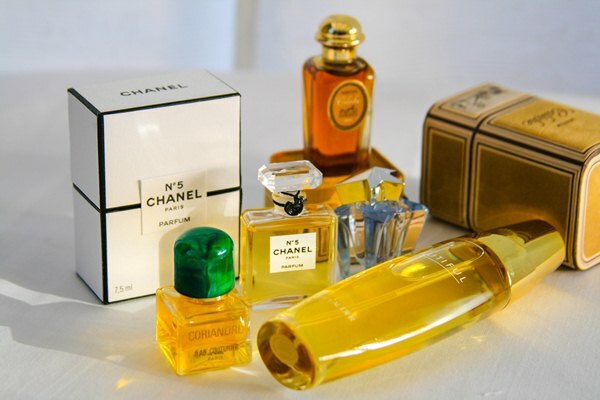 But as you dip your toe into the perfume hobby, smell the classics to learn about perfumes that are considered great. The classics available today are often reformulated. Even so, they were created at a time when perfume budgets were large, so even with the reformulations, the quality is often impressive. Though Chanel has reformulated Chanel No 19, it remains a costly formula, and I know of only a few perfumes on the market that cost as much as No 19 to produce. Even if your local mall is depressing in terms of perfume offerings, I bet that it has Estée Lauder, Lancôme, Chanel and Dior. Smell Estée Lauder Youth Dew and even as you find it too thick and heavy, notice how its drydown has a warm, chocolate-like sweetness. Or try Dior’s Eau Sauvage, one of the best fresh citrus scents available today. Don’t feel obligated to love the classics. Revisit them from time to time to see if you find new facets to enjoy, but if you don’t end up in love with Guerlain’s Mitsouko, there are plenty of other perfumes to discover. For instance, I don’t much care for the grand dame Joy (Jean Patou), but if I want to know what an excellent jasmine smells like, Joy is my top choice. Niche perfumes, as opposed to the scents available at department stores, are fascinating. I still remember how exciting it was to discover Annick Goutal, L’Artisan, Serge Lutens and Frédéric Malle. Often, they are a refreshing change from the fruity-floral and gourmand patchouli scents crowding the perfume counters. But in the past ten years, this category has exploded so much that this label doesn’t often promise anything unusual. The only certainty is the high price tag. Another reason you should smell classics is that many pricey niche perfumes are really nothing but dressed up classical ideas. Bond No 9 Scent of Peace = Dolce & Gabbana Light Blue. Tom Ford Private Blend Bois Rouge = Guerlain Habit Rouge. 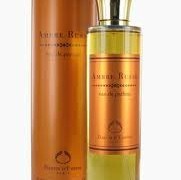 Amouage Gold = Madame Rochas. It doesn’t mean that you should prefer Habit Rouge to Bois Rouge, but smelling classics gives you a more informed way of making your choices. If you are motivated to learn more about scents, smell aromatic things around you–herbs, teas, coffees, chocolate, olive oil, mangoes piled up at the grocery store. Many perfumers come from a family of fragrance professionals, mostly because they are taught to use their nose at an early age. You may not have an arsenal of essential oils and perfumery materials, but if you can just sniff fruits or spices as you shop, you will not only hone your nose like a professional, you will end up with better produce on your table. Open your spice cabinet and sniff cinnamon, allspice or vanilla extract. You need not order an expensive sample of Lorenzo Villoresi Piper Nigrum if you have black pepper in your kitchen. Crush the peppercorns and smell the bright top notes. Notice how they smell citrusy and cool. Then sniff them 10 minutes later to notice the woody-smoky nuances. 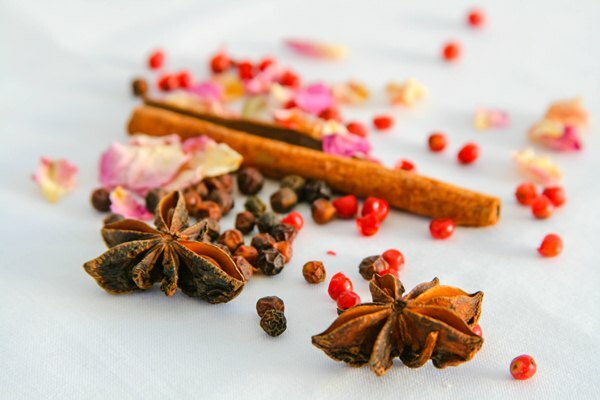 The scent of spices is as complex as that of any perfume, and most of your favorite fragrances probably use a spice or two in their formulas. If you want to try a perfume or if you’ve discovered a scent that catches your attention, buy samples. Stores like Luckyscent.com, Aedes, First-in-Fragrance, Suendhaft, The Posh Peasant, and Surrender to Chance offer a variety of sample programs. For the price of a couple of movie tickets you can have a selection of several perfumes to enjoy for days, if not weeks. Find like-minded people on blogs and forums and swap for samples or split bottles. It’s such a great way to try new perfumes, expand your wardrobe, and, best of all, to meet other perfume lovers. Forums like Basenotes and Makeupalley have swapping options. I’ve received emails from a few of you asking to have a swap option here at Bois de Jasmin, but while I’m still mulling it over, you can swap at NST and Perfume Posse. This tip is tied to #2, but it’s worth repeating. Spontaneous purchases are the most dangerous ones if you are on a budget; often you end up with a bottle of something that’s nice, but not quite what you wanted. My rule on buying a full bottle is simple–if after two months of wearing my sample on and off, I’m still excited by the scent, I buy a bottle. Otherwise, I keep on sampling. Sometimes I wait even longer. Since I already have a bottle of Serge Lutens Borneo 1834, I gave myself a year to decide if I really needed a bottle of Chanel Coromandel (a similar chocolate-patchouli idea). After a year I was still just as in love with it, so now it sits proudly on my dresser. Unless you’re into collecting perfume, it makes no sense to buy too much. You can’t wear all of your fragrances often enough if your wardrobe is too large, and perfume doesn’t last forever. On the other hand, the more chances you give yourself to use your nose, the better your scent memory gets and the more you will enjoy simple things around you–a sweet whiff of bonfire smoke that signifies the coming of autumn, the sour tang of maple buds in the spring, the yeasty warmth of bakery exhaust in the middle of a busy city street. I think that such little discoveries are the best consequences of being perfume obsessed. What are your tips on keeping within budget? How do you maintain your perfume hobby? Lucas: Great article and amazing tips on how to try the highest number of perfume without going bankrupt. I’m a student now and I also find myself to be extremely budget conscious. My way to discover is to take part in bottle splits organized at Polish Perfume Split Board. When something sounds appealing I can sign in for 5 or 10ml of the fragrance (that usually costs less than 15€) or if I just want to try I can join the split for a big 2,5ml sample. It’s so affordable and those 5ml goes a long way, really. When I find a scent so appealing that I want to own more of it I organize bottle splits on my own. In this case I always buy the biggest possible size (that lowers the cost per single mililiter) decide how much I want to keep (usually between 30-50mls) and the other mililiters go to other perfume enthusiasts. Jack Sullivan: I have never seen the interest of Facebook so far (for myself, I mean: the people who care for me know how to get in touch with me, whenever they choose to do so; and if they choose not to, it’s fine too). Victoria: Sounds like a sensible plan! Everyone has their own limitations and needs, and it’s not like there are any rules on how many bottles are too many or too few. 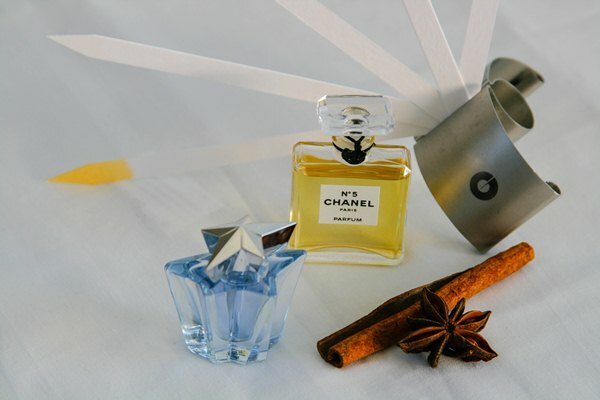 Marika: I’m a perfume newbie, and this post is exactly what I need. I’m so overwhelmed. Where do I start, what I smell, what is essential for me to try? We have Chanel, Lauder and all the usual suspects, maybe I start there. Victoria: Marika, I’m so glad to hear that it was helpful. I started out my perfume journey when I lived in a town with very limited perfume shopping, so I just smelled Chanels, Lauders, Lancomes. It was so enjoyable and a good learning experience too. Natasha: I love your photos, V! I stay within my budget by making a plan. Usually I try not to buy more than 5 bottles a year. I know that it sounds very little, but I don’t have much storage space and my collection already includes 32 bottles. Victoria: Thank you, Patt! I agree with you and Lucas, a decant can last for a surprisingly long time. If you rotate among several perfumes, you don’t drain them too quickly. Jillie: Really informative and useful advice, V, thank you! When I met my husband (a loooong time ago) he would never even have thought of wearing a fragrance. But under my teaching, he has developed a really good nose and now has nearly as many bottles as I do. Victoria: Our husbands sound very similar in terms of their perfume exposure pre- and post-marriage. 🙂 Mine can identify a few scents really well, even better than me. He can pick out orange blossom and cardamom even if they are hardly present. Victoria: Hurray! Quitting smoking to afford perfume is the best possible upshot of a fragrance hobby. I’m so happy for you. Victoria: I also crave spicier, denser perfumes in the fall. I’m wearing Parfums de Nicolai Sacrebleu right now, and usually I find it too much. But on a cool, crisp day, it’s just right. Delilah: I realise this is a very old post now but I have been eagerly reading a couple of pages of this wonderful website each night since I came across it and just read your comment “cinnamon belongs in cakes” – I used to adore the smell of cinnamon but recently started working somewhere where the sanitary bins in the toilets (for discarding of used “feminine hygiene products”) are strongly and heavily scented with cinnamon, presumably to mask any unpleasant odours escaping…unfortunately this means that at present my mind is associating cinnamon with “that time of month” and has put me right off cinnamon scents and flavours for the moment. I hope my brain breaks this connection, as actually I do like cinnamon…. Victoria: Oh, please don’t apologize! There are so many helpful tips here. Thank you for your thoughts. Dionne: This is an excellent list, Victoria. For a long time my own finances were pretty tight, which meant I “rappelled” down the rabbit hole. Even now I’m careful, and I enjoy the nickname that Tara gave to my approach: Slow perfume. For a long time my sampling budget was $30 a month, and my perfume bottles were bought for Christmas, my birthday and Mother’s Day. And even though that sounds slow, I can attest that after a while, it still adds up, you just have to have patience (difficult, I know). Victoria: Dionne, sometimes pacing yourself is even better, because you take time to live with a perfume and wear your sample longer. And your example proves how much you can smell on that budget and how complete of a collection you can have. Victoria: I’m glad that you brought up the notes, because it’s true, they are not reliable references. In my example though, even if you don’t like Kelly Caleche in the end, it remains a good example of how iris and leather work together. The other elements in the composition would set the tone overall. For instance, I love Bottega Veneta, but Kelly Caleche leaves me indifferent. It dries down too cold and aloof for my tastes, whereas BV is soft and velvety. Merlynn Diana Edelstein: I doubt it was just luck! When one has a LOT more experience (than I have) one is probably able to conjure up a reasonably accurate idea of the scent from a description. Also you already had some idea of what kind of scent was liable to appeal to you. I, on the other hand, could be very much swayed by a positive description such that a scent I would ordinarily not much like could, for a brief spell (pun intended) become suddenly attractive! Victoria: You’re right, the perfumery is complex and the same notes depending on how you balance them can give you a completely different effect. 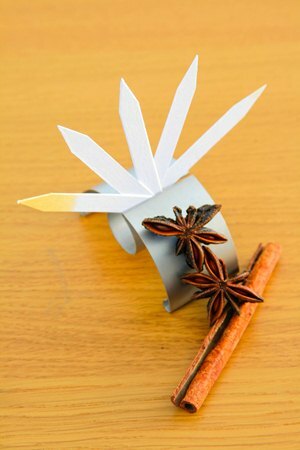 For instance, you can create rose or lily of the valley or jasmine out of the same materials! But while it may be complex and frustrating, it’s also what makes perfume so engrossing and fascinating. rosiegreen: This is a great post. I wish I had followed some of your recommendations when I first started out in perfume, though a few of my blind buys came in handy as presents for my nieces. I also like the section where you recommend smelling the classics. I would love to see what ‘smell alikes’ you might recommend. Rose D: There are plenty of (reliable) e-tailers that have big discounts on designer and niche lines. That is how I ended up with 4 Armani Privé and a gorgeous Eau d´Hadrien gift set. Buying refills is another way of lowering the price of niche fragrances; as long as you do not mind owning a simpler-looking bottle. Civava: Great article and good advice. I wish I had read somthing like this when I was newbie in perfumeland. fleurdelys: “..the joy of discovering perfume is not in amassing dozens of bottles on your dressing table…” Wait a minute, it’s NOT?!?!? Austenfan: You know this post is 4 years late! No, seriously thanks for summing up some strategies to keep the “bottlegreed” at bay. Funnily enough my blind buys have all been really successful, excepting my bottle of Le Dix, which I don’t like. As my collection is expanding I find that my buys are slowing down, and becoming better matched. Having sniffed more, you know what will work a lot better. Debbie: I don’t have any great tips on staying within a tight budget with scents (having just bought two bottles of the soon-to-be-retired TF Amber Absolute) but it’s more a way of justifying the spend. When you think how much money people typically spend on a hobby, be it sports, cars, art, for example, I don’t feel too bad about spending on something I’m passionate about. A vintage bottle of wine is enjoyable for as long as it takes to drink it but a perfume can still be enjoyed 20 years after purchase along with all the emotions and memories it stirs up. Esperanza: Thank you, Victoria, due to your article I am focusing more on decants and samples. Maureen: It’s so interesting that you posted this today. Just this afternoon I was thinking about fragrance boards/blogs and those of us who are ‘involved’ with fragrance (because, at least for me, it is a romance of sorts). I was trying to separate whether fragrance was about ‘consuming’ or ‘enjoying’. I think there are times when I get too caught up in ‘the next full bottle purchase’, or the ‘next new fragrance’, and I forget to enjoy the art and nuance and beauty of fragrance for it’s own sake. In fact, I was thinking about Bois De Jasmin and thinking that you, Victoria, remind me–because you are express so clearly the emotional impact that fragrances of all kinds (including spices, smoke, lemons etc.) have on your world–that the enjoying is the part that matters, not the ‘acquiring’. I have gotten much, much better over the years about sampling and deciding and then purchasing, but I still spend more than my budget really allows. Today’s post has been very, very helpful. In particular, #8. You sample for two months–that’s fantastic! I think I always feel I must ‘decide’ within a week or two. I am always afraid something wonderful will ‘slip away’ if I wait too long. Victoria: Thank you so much, Maureen! I recently moved and during the first few month I didn’t have any of my perfumes with me other than a few favorite decants and some samples. I didn’t miss my collection at all (other than when I really needed to smell something for work!) I don’t feel naked with a scent either, and I happily go for days during a vacation without any perfume. That can be good for the nose too. Ariadne: Indie Scents is a GREAT sample site and they ship globally. I agree eBay and fragrance Net.com are other inexpensive ways to collect and learn. I am not new to perfume but new to experiencing it in a new and different way. My method now is to smell, read, smell, read, etc. kuri: Well said! That’s advice that I need to remember when I’m tempted to buy a full bottle. k8pierro: What a timely post, for just tonight I was cataloging my recently acquired vintage purchases and thinking “yeesh!” when I tallied the price. Some were fragrances beloved since childhood that I wanted to possess as close to their remembered glory as I could get, but others were blind purchases based on both extensive research and hunches. Most I will wear and share, but there are some I could have lived without. Do I regret it? Not exactly, although I do recall wishing I had found Surrender to Chance and the Perfumed Court before eBay. I agree that samples and sampling in person are the way to go, and certainly the way I will go when I am ready to delve more seriously into niche fragrances. Victoria: Thank you very much! Sometimes limitations make one more creative. I really think that if I had access to all of the niche perfumes I wanted, I would not have been pushed to explore Macy’s more and then I would have missed out on discovering other interesting perfumes. I can live without L’Artisan Premier Figuier, but I can’t say the same about Estee Lauder Private Collection (one of my favorites from EL). Emily: I also prefer spray samples (bless Sephora and Nordstrom for providing them!) I’ve been totally mistaken when dabbing scents and later spraying (see: vast swaths of Guerlain), so I invest in tiny empty spray bottles (and pipettes to fill them) for when I can only shell out for a non-spray (or when commercial samples are packaged without sprays). I keep a bit in the original tube for later reference, because I’m a nerd that way. Stacey: This is such a great post for those starting out, or even those like me, who just need a reminder to keep things in check. It’s very timely that I see the post today since this past week I did some rearranging of my perfume shelf (yes, that is what I do in my downtime every few months) and was thinking of just how many bottles I own that I could really do with just making a decant and selling/swapping the bottle. I’m also planning a cross-country move in the next 4 months so the need to pare down is very big right now. Victoria: I know how it feels in the beginning when you really want to smell everything at once and to buy it all, but it is also possible to burn out (and overspend!) Taking it slow when it comes to buying is better. Victoria: Sarah, as a recent expat myself, I can relate. 🙂 I still buy samples from Luckyscent, and the shipping is only a dollar or two more than what I paid in the US. Does your computer has an automatic google translation feature built in? That should be useful to translate that German website. Surrender to Chance also has reasonable shipping rates, and the packages arrive quickly. bluegardenia: I love this post, and I’m not even on a budget! I don’t spend much money in general and as a result I tend to have extra to spend on perfume when I want it – but what you are saying about spices and fruits, I’ve found so true. Smelling ripe strawberries and fresh basil and black pepper crushed up, these are pleasures in life as great as any bottle of chemicals whipped up by a huge lab (not that I have anything against chemicals and labs). Amanda: The store TRAVEL SCENTS on Ebay has hundreds of designer fragrance samples in their store. Victoria: Thank you very much for spotting it, Bob! I appreciate it. (Really? 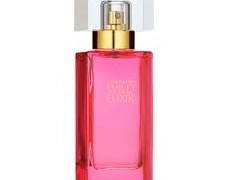 I mean, spraying an early 90s Joy EDT three time in the inner of my T-shirt is one of my favorite perfumery joy. The “moldy watter of a rose bouquet forgotten in a vase” goes away, and your body warmth lifts up the iris jasmine and rose thoughout the day. For me it’s a no-brainer, no logic just pleasure.) (so I repeat : early 90 EDT. No extrait (animal, not the same league), no recent issue, no EDP (more ambregris-like)). dorothyblu: I am older,way back before the Net;and I bought small or larger bottles of perfume(or dusting powder and make up) thru “little catalogs by snail-mail.” there used to be such a good one,I paid low prices for established,or new,scents.It no longer exists.I remember wearing one by Paco Rabanne,to a party,someone said,”nice perfume” and I replied,”made in France”(which it was) and she laughed, like that was unusual.I had it good,and didn’t know it. Sigh.The catalogs and perfumes vanished.But,I went to the “alternative-art-hippie life,” and PERFUMED OILS were popular, springing up.A whole store was ,in San Francisco, an alternative perfumed oil source.THAT got very popular! and more economical,and last-lasting then alcohol. Now perfumed oils are everywhere, and pretty economical. I love floral scents, but my fave perfume is “Maja” by Myurgia,Spain. I love it,but expensive. I’ve always loved scents. Which is why I am here; do any of you buy perfumed oils? The floral scents can be lovely.They are online. 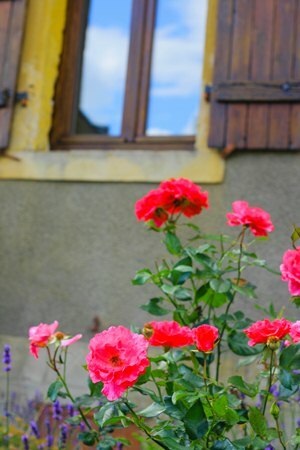 I have a weakness for roses.–and perfumed oils can hold fragrance better than alcohol. Phero Joe: I have to admit I am a little stingy with my scents too 🙂 Sometimes I will regret buying a cologne a few days later, when I don’t feel it is as good as I thought it was. Luckily I have a trusted few that I will always keep in my arsenal, so going to the store to get a few samples every now and then is much more affordable than risking it and not liking something. angeliki: Great article, I have visited it many times in the past, but I wanted to share a bit now! I really do think that slow buying is key. Test and sample and test some more before committing to a full bottle. If only someone had told me this at the beginning of my perfume journey! Anyway, I found out on my own, and now I make sure every single thing I buy is something I love. Too many bottles (more than 10, really) overwhelm me, so it’s relatively easy to forgo temptation! Ellina: Dear Victoria, I have been madly in love with Infusion d’iris the last couple of years. It feels like it was made for me, it just feels so natural when I wear it! For a change, I really like Chanel 19 poudre, Balmain Ivoire and CK one. And Coco Mademoiselle is a guilty pleasure! For something darker I love Alaia Paris- beautiful leather and musk. Larkin: One thing I wish I had known when I started out, was that everything comes around on eBay, or in the different Facebook perfume groups, sooner or later, for much less than retail. Partial bottles can be a great way to go!! For me, if I don’t drain a sample, it’s not full bottle worthy. If I drain a sample and have a joyful reaction whenever I wear it, then it is FBW. Paying attention to my emotions is key! Purchasing a decant is a great way to test whether or not you love something. I just got 10ml of Guerlain Lys Soleia, which is nice, and I like it, but I don’t LOVE it. I’m using the 10ml, but after it’s gone, I won’t be purchasing the FB. I 100% agree about having an curated collection that doesn’t repeat similar notes and styles. For instance, the Lys Soleia is nice, but I already have TF Orchid Soleil, and the effect is so similar that I don’t need both. And I LOVE the TF, only like the Guerlain.